VA scandal: Will Obama fire Shinseki? President Barack Obama promised accountability, but he made clear Wednesday he won't fire Veterans Affairs Secretary Eric Shinseki - yet - over excessive and sometimes deadly waiting times faced by veterans seeking government health care. "If these allegations prove to be true, it is dishonorable, it is disgraceful, and I will not tolerate it, period," the President said in his first public comments in weeks on the issue. FULL STORY. At 6:30pm ET, VA Senate committee chairman Sen. Bernie Sanders (I-VT) debates fellow committee member Sen. Dean Heller (R-NV). Newt Gingrich and Van Jones host the debate. How do you rate Obama’s management of the VA scandal? Vote by tweeting Strong or Weak using #Crossfire or comment on our Facebook post. View results below or through our Poptip results page. There is so much false information about Benghazi and it's all politically motivated. Claims that no additional help was sent and that someone ordered everyone to "Stand Down" is completely false. Security teams were dispatched from Tripoli immediately but the 4 deaths had already occurred and everyone else in the compound had evacuated to a consulate annex building. Two security teams from Tripoli secured the annex and the airport for evacuating the survivors out of the country. The Libyan government forces also helped to protect the survivors. That's the truth but it's drowned out by politics. Who started it? We may never know if the protesters organized an attack or if the video was altered to offend Muslims by a known terrorist group to create an opportunity to attack the consulate. This politically motivated effort to anger the public with false, misleading and inflammatory information needs to stop. It's dividing and destroying our country. What is the point in firing Shinseki? False reports were filed by individual VA hospital officials. Find out who filed the false reports and fire them! I'd like to know when the false reports began and if it corresponded with the Government shutdown. Is that when the backlogs began to form and why not all VA hospitals. Why did this occur only at only a relatively few out of more than a thousand VA hospitals? Where are these hospitals located? Is there any political connection with those who filed these false reports? 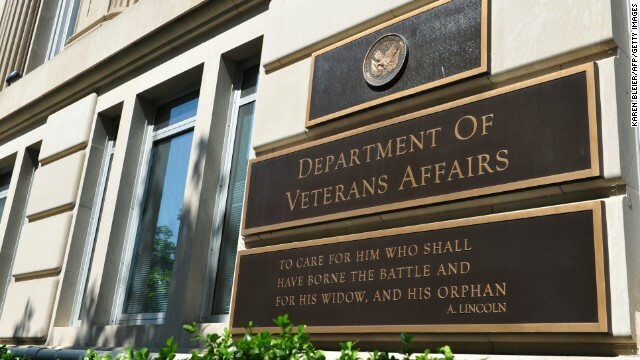 Could this be an intentional effort by politically motived VA employees to undermine the current Administration? It's quite suspicious to me. The VA issue is much larger than "who to fire. It speaks directly to the Federal Governments ability to effective manage what is essentially a large enterprise. More than anything else, the VA debacle represents definitive proof that ObamaCare is destined for the same perverse outcomes. That said, the most likely WH and Congressional strategy to fix the Va will be -you guessed it – appropriate more money to an already bloated VA budget. Between 2003 and 2012, the VA budget grew by over 100% while patients climbed by around 30%. Obamacare is nothing like the VA. The VA is government operated by government personnel. There are no Obamacare hospitals. The insurance is private insurance coordinated through the exchanges. It's just like buying private insurance anywhere. All health insurance plans must meet the ACA requirements whether you qualify to purchase it through the exchanges or purchase if through your local insurance agent. The insurance is used at any private doctors office or hospital. HR 4031 passed the House 339-33, is 2.5 pages long and Sanders and Reid wont allow a vote!! It could help clean up the VA mess yet they are refusing to let a vote on it!!! Why CNN..WHY????? I bet if each of the 22 disabled veterans who commit suicide every single day start assassinating one of the shell-game playing politicians responsible for their deaths before turning the gun on themselves, you'll start seeing the shell-games stop and these greedy, lying murderers sent to jail REALLY FAST! No he will not. To fire Shinseki would be to admit he has not handled the crisis correctly and the President will not admit that. This will go on for months then Shinseki will retire just think Serbis and healthcare. Obama needs to resign, but no wait, Biden would be president then. Forget it. Shouldn't the President find the guilty party or parties before firing someone? Should he fire someone just for political reasons or seek the truth. We know now that Shinseki received falsified reports from people in these hospitals so how was he supposed to address a problem that wasn't reported? Who filed the falsified reports? Shouldn't they be the ones fired? Shouldn't we investigate their reasons for filing false reports? Did the backlogs begin because of the government shutdown? Were they intentionally created to cause problems for the President by politically motivated administrators. Most of the VA hospitals did not experience these problems. Should we find out why only a few did but those few all created false reports – almost as if it was a coordinated effort? We need answers. I would call the president's response strong so far because he has not caved to taking the easy route and pandering to the mob mentality. There is much to be investigated, including the possibility that this could be isolated cases of politically motivated VA administrators. Strong, stop smoking the wachy weed. At the very least he should have come out and done what he does best, orate. If he would have said we are aware of this and will do everything in our power to get to the bottom of it maybe things would be different. Oh wait, cry wolf too many times and no one listens. Why would he have said he was aware of this when we know now that he was not aware it? We have learned that false reports were filed by the various VA hospitals. What else will we learn? I say we should wait and find out when the backlogs began, who filed the false reports, and what their motives were. I'm a Veteran I was honorably discharged back Oct. 1989 for Service connected conditions. I've been fighting for over 2 decades to get 100%. I'm at 40% and I'm been fighting ever since. I've written letters about what is going on today and I never once received any type of feedback from the Sec. Shinsecki, nor President Obama. Like the President said today when he addressed the issues about whats going on with the VA, that no Veteran should have to fight for benefits nor should they have to fight to keep a job. I was employed by the West Los Angeles VA hospital back in 1997 and I was fired for injuring myself by falling down two flights of stairs. I sure hope that the this mess gets fixed because it is pretty messed up. As a veteran with a open claim at the VA since January 2013 I can honestly say that Bernie Saunders is either misstating what Gen. Shenseki told him or Shenseki deliberatly lied to him in regards to wait times for claims. The ebenefits website is more useless than the Obamacare website is and if you don't believe me I'll give you a personal demonstration. The only thing you can see is what your benefits are which I can get at VA.gov and the status of my claim which never changes. The toll free VA hotline is also useless because they never answer the thing. My claim was determined in November 2013 but had to be reopened in December 2013 because all of my records were never uploaded into that wonderful electronic system Saunders thinks is so good and therefore never used in the determination. Now I'm being told that it will be decided somewhere between August of this year and June of next year. Sound familiar? Yeah it looks like they're also closing claims in the time they are allowed reopening them which starts the clock all over just like having 2 appointment lists at the clinics probably because there are bonuses involved in settling claims within the time limits too even though they rarely are closed. It's too early to tell. After hearing what some veterans had to say this evening, I'm becoming suspicious that some of the VA administrators are intentionally trying to undermine services for political reasons. One veteran said that she was told by an administrator that she should "complain to the president." That sounds awfully inappropriate and political to me. The president has increased funding to VA hospitals and expanded treatment for brain injuries and PTSD so this should not be happening. Many VA hospitals are not having these problems. So, are these problems politically motivated? Investigate. This is another example of:"If you want to keep a secret, don't tell the boss." Previous examples are Walter Reed, Fast and Furious, among others. However, despite this, I feel it's too soon to even think about firing Shinseki, the investigation needs to be compleated and the facts need to be revealed before anyone gets canned. husband out of the VA hospital but his mind wasn't right since. He eventually died. Sorry for your loss, I lost my father in a similar way while he was a patient at the Phoenix VA. If you have access to your husbands medical records check the medication he was given. My elderly father was previously diagnosed with dementia and after going into the VA was given powerful anti-psychotic drugs instead of the anti-depression meds he had been on. He went downhill immediately and we knew it was the medication but they didn't take him off after we were assured it wasn't the drugs. We found out after his death that the FDA had put out a Black Box warning on these drugs and advised doctors NOT to prescribe them to dementia patients. He died about 6 months after going to Phoenix of heart failure even though he didn't have any heart conditions before he got there which is exactly what the FDA said would happen if the drugs were given. If this is your case you may want to speak with a attorney. 15 years ago. Do you think its too late to get an attorney ? When we have wounded soldiers on the battlefield, we do not wait 3 weeks or 3 months or 3 years for brass to work through the red tape. The Honorable Erik Shinseki testified: "There is a process here, Senator [Begich]. let me not get out ahead of it..."
This is a totally unacceptable answer. We Do Need to get out ahead of it. The Plan below will offer immediate triage to the vets who put their lives on the line for every one of us. The Government should give temporary Medicare cards to those whose benefit applications or requests for medical treatment are part of the tremendous VA backlog. Especially those needing immediate medical care or who have appeals pending. This could be set up within a few weeks using the 1300 nationwide Social Security Offices (SSA).. SSA has the software in place to identify all VA applicants including their W-2 info which would verify their military service. All they would need is a daily file from the VA identifying critically delayed claims and medical request. SSA lost 15% of staff in last 5 years, 1300 offices nationwide have 3 to 10 empty workstations: 5,000 staff members could use these to issue temporary Medicare Cards. If these 5,000 desks remain empty the government is wasting about $150 million per year. If the Va canot take care of veterans why is it treating federal prisoners? Who has priority a prisoner or a veteran? Federal prisoners receive treatment from the federal prison system hospitals unless the prisoner is a veteran. "To be eligible for V.A. medical benefits, a veteran must have served in the active military, naval, or air service or must have served as a Reservist or National Guard member called to active duty (for other than training) and must have completed the full call-up period. The veteran must have been honorably discharged or released. Veterans who enlisted after September 7, 1980, or who entered active duty after October 16, 1981, must have served 24 continuous months, or the full period for which they were called to active duty, in order to be eligible. This minimum duty requirement may not apply to veterans discharged for hardship, early out, or a disability incurred or aggravated in the line of duty." It will be several years before the Veteran's Administration has enough trained staff and facilities to provide care to all qualified veterans and to process their claims for benefits timely. We can continue to do OIG and GAO studies but here is a plan that will immediately provide medical care to all deserving veterans until the problems are solved. Shinseki and the Veteran's Administration save close to $5 billion per year by not providing Medical care to the 578,000 veterans whose claims are part of the backlog. In other words, Shinseki and the VA are cheating veterans out of $5 billion every year. It goes much deeper than just Shinseki. Just like the IRS scandal wasn't just the two in Ohio.